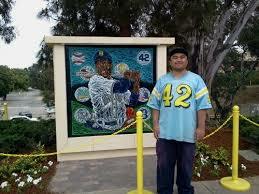 The only thing that can divide Dodger fans, aside from recent elections, is the annual SC-UCLA game. Over the years USC has had the decided edge not only in wins but in conference and national championships. 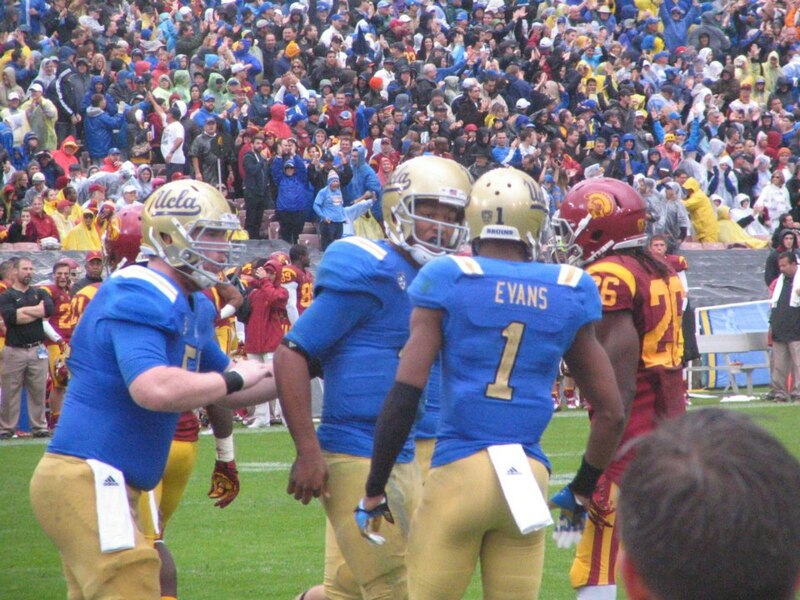 Prior to last season UCLA had won 3 straight from the Men of Troy. 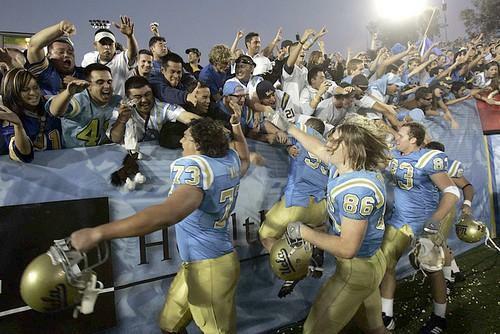 UCLA also owns the longest winning streak in the series, having won 8 straight from 1991 to 1998. After a 1-3 start that included an embarrassing loss to Alabama, USC has recovered remarkably, winning 6 straight including last weeks impressive win over the Washington Huskies. USC is a heavy favorite over UCLA. Deservedly so. 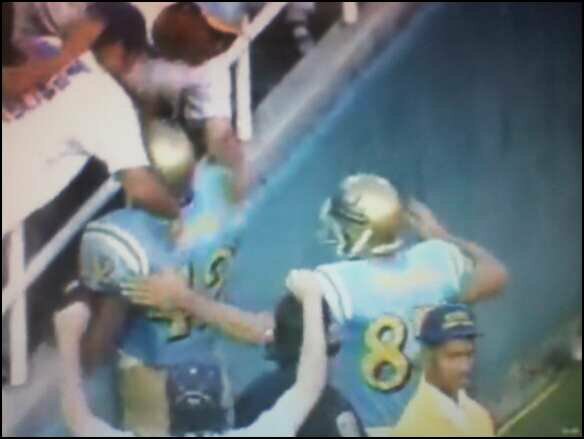 ” Skip Hicks holds the UCLA school record for touchdowns in a season and in a career, but most people seem to only remember two of them. 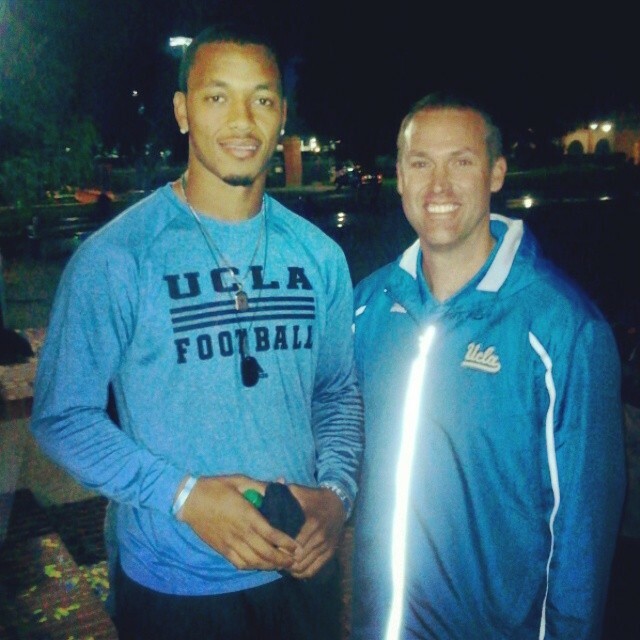 Hicks was an All-American running back his senior season with the Bruins and went on to play five seasons in the NFL, but it seems Bruins fans only remember his performance in one game: UCLA’s improbable comeback victory over USC in 1996. “Hey, at least they remember me,” Hicks said. 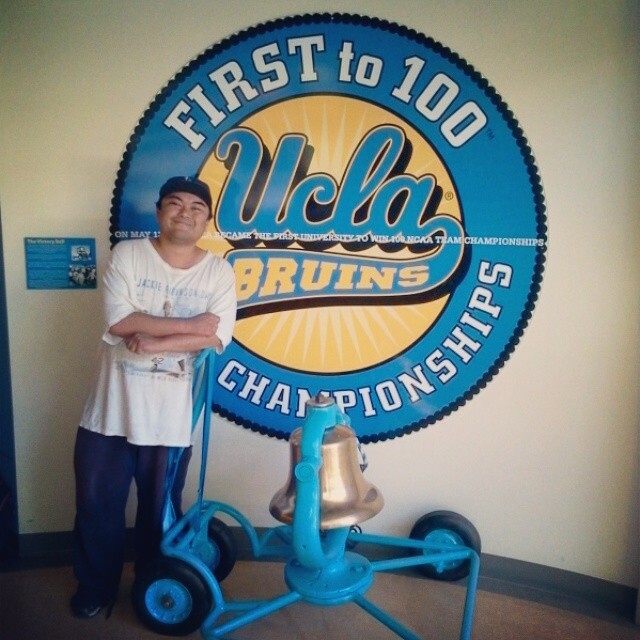 As for this Bruin fan, those 2 TD’s and that exhilarating Saturday afternoon will be ever so hard to forget…150 years down the road. 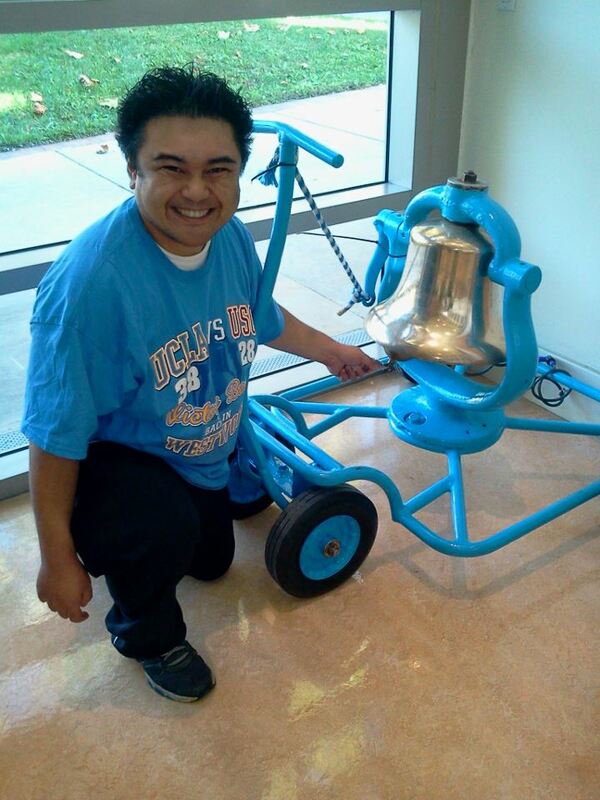 Did I say only a miracle would save UCLA? As USC was trying to run out the clock, Kusanti Abdul-Salam would recover a LaValle Woods fumble! The Bruins would have new life! With everyone at The Rose Bowl on their feet since about the halfway point in the 4th, SC, however, would threaten. The final seconds of regulation would come down to a last-second 41 yard FG attempt by Adam Abrams. As SC was getting set to end their 5 year skid, I, along with 80,000 souls in The Rose Bowl, was yelling perhaps the loudest I could ever. Adam Abrams attempt at glory…BLOCKED !!! OVERTIME WE GO !!! 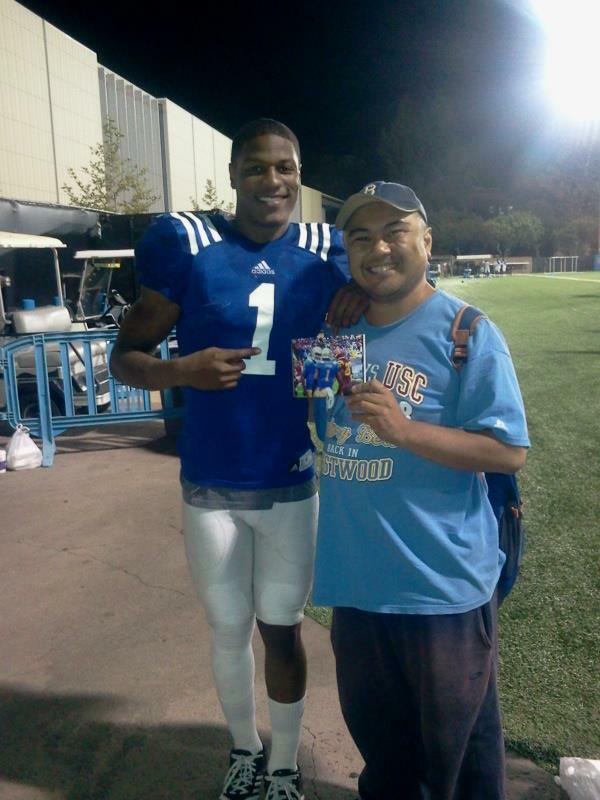 UCLA would get the ball first…On the first play form scrimmage, Skip Hicks would take the handoff from Cade McNown. For a moment, it seemed a USC defender had Hicks wrapped up. Somehow, Hicks broke loose…Break loose he did…Just like that, UCLA would have their first lead of the day…As for the Hicks TD, where would it finish? Now 4th down, USC was now in a do or die situation. Convert and their still alive. Otherwise, the streak continues…And on what would be the final play of the game, Matt Koffler’s floating duck, and I DO mean floating, flailed into the waiting arms of Anthony Cobbs. Well, that feeling is long gone now, the experience being far too frequent now. During last night’s UCLA-USC game at the Rose Bowl, where UCLA for the 3rd straight season came out victorious 38-20, before the start of the 2nd quarter, Dodger and UCLA legend Jackie Robinson was honored with a ceremony celebrating the 75th anniversary of his arrival to the Westwood campus . 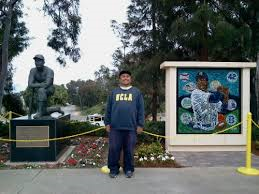 Although Jackie would wear number 28 in his days as a Bruin, the number 42 has been retired throughout all UCLA athletics and his number will be prominently displayed throughout each athletic venue . 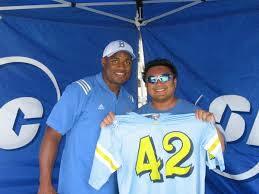 3 current UCLA athletes will continue to wear the number 42 until they graduate, just as Mariano Rivera did for the Yankees until his recent retirement. 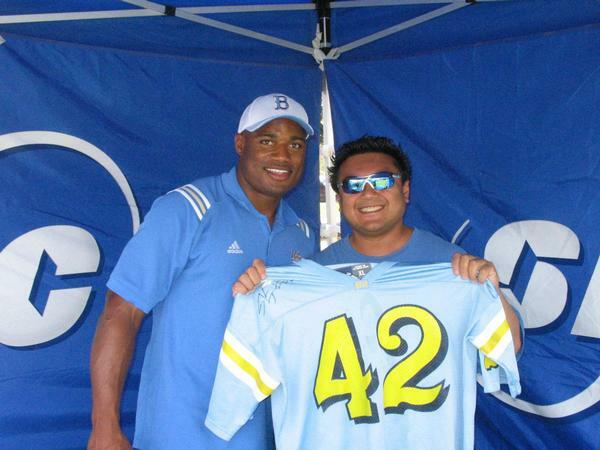 With the number 42 now permanently retired throughout all UCLA athletics, the number 42 jersey I have displayed with Skip Hicks certainly means that much more to me now, as from this point forward, I can now say that I have a piece of history that not only has a permanent fixture throughout all athletic departments and throughout UCLA, but a piece of history that celebrates the many accomplishments not only on the field but beyond as well. 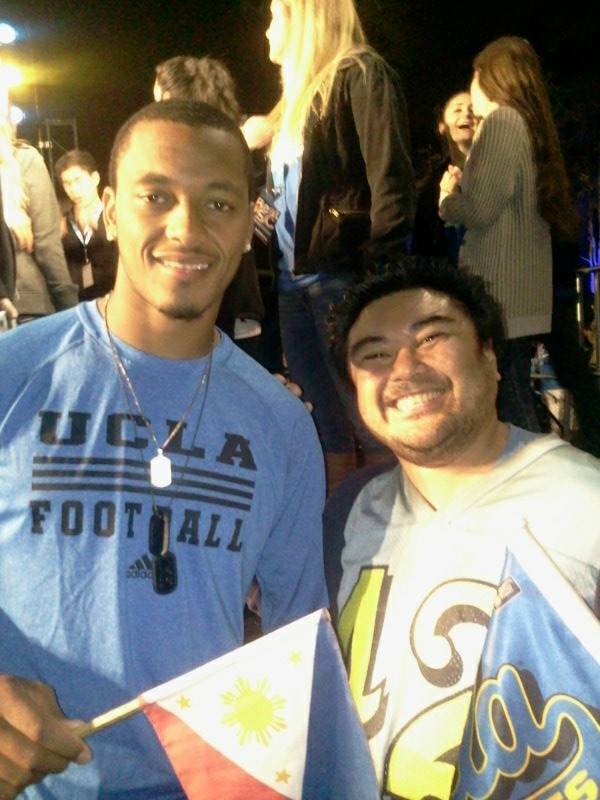 Last night’s dominant display the UCLA over USC would have definitely made Jackie proud. 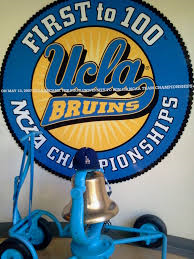 With UCLA’s 38-20 victory over USC , it is obvious right now that at this moment, UCLA currently runs L.A.
And to make it official, we crown The Victory Bell with a touch of Dodger Blue. 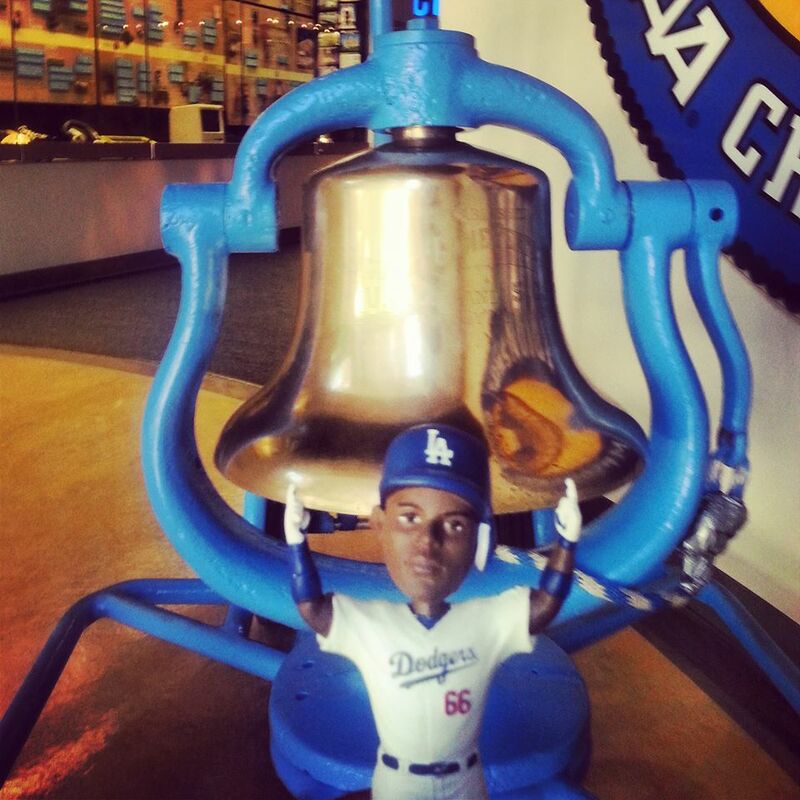 Oh would Jackie be so proud…. 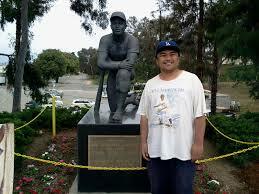 A very happy day for both of Jackie’s one time affiliations…. And on one final note, many thank to all of you who have read and followed my posts throughout the entire year. Drei here would like to wish all of you a very Happy and Safe Thanksgiving. 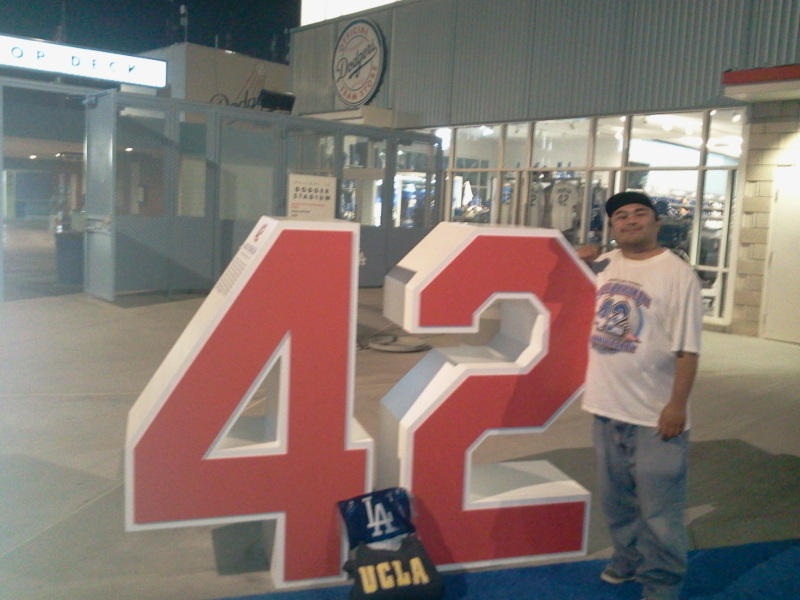 42DodgersJackie RobinsonSkip HicksThe Rose BowlUCLAUCLA vs USCVictory BellWho Runs L.A.